﻿ What's Hot on Pinterest: Modern Glam Decor A Brand-New Concept! Modern Glam Decor for a modern apartment! Another Friday means another edition of What’s Hot On Pinterest, and for this week’s article, we have something brand-new. A new trend in the interior design world that is making a name for itself, we are talking about a brand-new style concept, Modern Glam Decor. SEE ALSO: An In-Depth Look At Hanna Floor Lamp For Your Living Room Décor! Take a traditional Hollywood Glam house, for instance, you see these beautiful and mid-century looks that are part of this coveted style and look. Now, take this modern home decor that is luxurious as beautiful. This is one of the most perfect examples of a modern adaptation of the Hollywood Glam style. Stay tuned because we are going to show you a couple more. This living room has that modern glam look to it that is just a modern interpretation of the classic Hollywood Glam style, with just a couple of more modern twists to it. DelightFULL, being a mid-century focused lighting brand, has those particular floor pieces that can fit in any specific decor. And trust us, for this modern glam decor, we have just the two perfect pieces. Botti floor lamp is an essential piece of mid-century contemporary design. The Botti collection is a collection of mid-century modern inspired designs that take inspiration from Chris Botti, a renowned trumpet player. 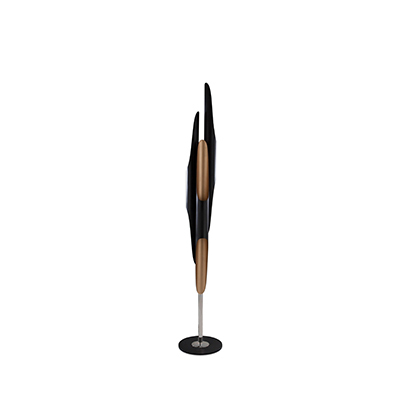 Turner floor lamp is of DelightFULL’s most luxurious and customizable floor lamps. Turner collection is inspired by the one and only Tina Turner. Representing luxury and the mid-century Los Angeles style that few can mimic.